No-one likes to be separated from their family. You can keep yours together by applying for a South African relatives visa if one of your immediate family members are living in South Africa. To find out whether you qualify, complete our free assessment or call us. You can reach our Cape Town office on +27 (0) 21 424 2460 and our Johannesburg office on +27 (0)11 234 4275. You could also get started by familiarising yourself with the basic info around South African relatives visas. Who can apply for a South African relatives visa? Only the next-of-kin of a South African citizen or permanent resident can apply for a relatives visa. Next-of-kin includes both first kin and second kin. First kin are a spouse or life partner, children and parents. Second kin are grandparents, grandchildren, brothers and sisters. It is common for a spouse or life partner to be issued with a spousal or life partner visa instead of a relatives visa. You can learn about these visas on the spousal and life partner visa pages. Is there an age restriction for first or second kin? 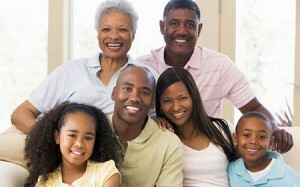 There are no minimum or maximum age limits on the South African relatives visa. How many family members can join a South African citizen in the country? There is no set allowance. Instead each application is judged on its own by taking into consideration all criteria. A temporary relatives visa is valid for 2 years, after which it can be extended. Only first kin qualify to apply for permanent residency. What are the requirements for the South African relatives visa? The main criteria for the South African relatives visa is that the applicant is an immediate family member of a South African citizen or permanent resident. Other than that, financial criteria must be met in certain instances. Does a relatives visa entitle the holder to certain rights and privileges in South Africa? Foreign immigrants on permanent relatives permit enjoy many of the same rights and privileges as South African citizens. For instance, they’re allowed to work, study or start a business. How do I apply for a South African relatives visa? Applicants must submit documents to prove that they are the next-of-kin of a South African citizen or permanent resident, as well as all the additional documentation as determined by the South African Department of Home Affairs. Foreign immigrants must also meet the financial criteria of a South African relatives visa. Instead of spending hours doing the application yourself, hand it over to Intergate Immigration so that we can do it for you. We have helped thousands of families, individuals and corporate companies with immigration to South Africa. Our entire team has been tested and registered with the Department of Home Affairs. As a company, Intergate Immigration has received ISO 9001 certification. This makes us the only immigration company doing immigration into South Africa with this accreditation. Call our Cape Town office today on +27 (0) 21 424 2460 or our Johannesburg office on +27 (0)11 234 4275. If you’d like us to call you, all you have to do is complete our assessment form or request a call back. One of our consultants will undertake to contact you within 24 hours from the time we receive your details.